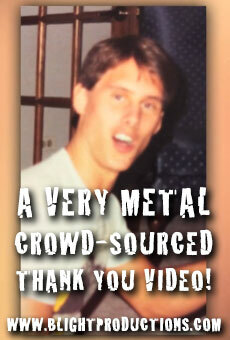 A METal 2014 Appreciation Message from BlightProductions on Vimeo. A holiday thank you video to Ken Rutkowski (The founder & host of METal International and Business Rockstars) for all the amazing collaborative “super connector” work he has done for the members of the METal community! Co-Produced by Glenn Hemanes from KG Dynamic, A Creative Agency and Brian A. Bernhard from Blight Productions along with all the amazing people who helped us crowd-source all the video clips! along with all the amazing people who helped us crowd-source all the video clips! Premiere!!! "The Missing Adventures of Blight the Clown" the comic strip #1. 2 NEW DRAWINGS AND A NEW OFFICIAL TRAILER FOR THE LOVE STORY! !